The first use of the name Huntington to refer to the town on Long Island was in 1657 when the inhabitants of the town entered into an agreement with Jonas Holdsworth “ffor to Schoole” the children of the town. The first purchase of land from the native inhabitants had been made four years earlier. It is unknown for certain how the name Huntington was chosen. One view holds that the town was named in recognition of the abundance of game that made it a good place for hunting. Such a descriptive name would be consistent with the naming of the neighboring town to the west which was named for the abundance of oysters in its bay. If the town is named for its good hunting, why did the settlers use the ancient Anglo-Saxon suffix “ton” meaning town to create the name? Why not instead call the place Huntingtown? The other view is consistent with the practice throughout New England in the seventeenth century; that is to name the new settlement after a town in England. Most early New England names have English precedents: Boston, Plymouth, Wethersfield, Cambridge, Southampton, Hempstead, etc. Under this view, Huntington is named for Huntingdon, a town 75 miles north of London. 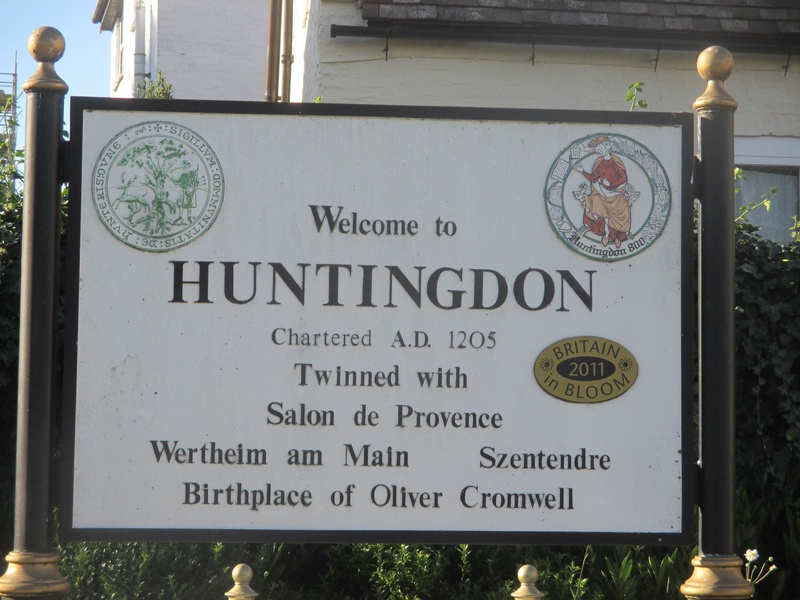 It does not seem that any of the early settlers came from Huntingdon, but the name would have been chosen in honor of Oliver Cromwell, who dissolved Parliament three weeks after the First Purchase and was named Lord Protector eight months later. Were the settlers trying to curry favor with the new head of state? As Puritans, they would have been sympathetic to Cromwell and would have supported him. 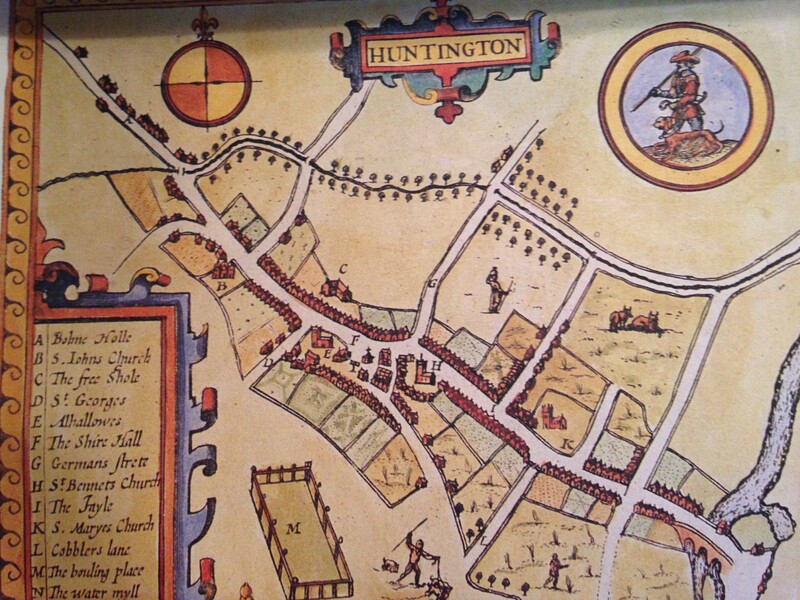 1662 map of Huntingdon, note the spelling of the name. 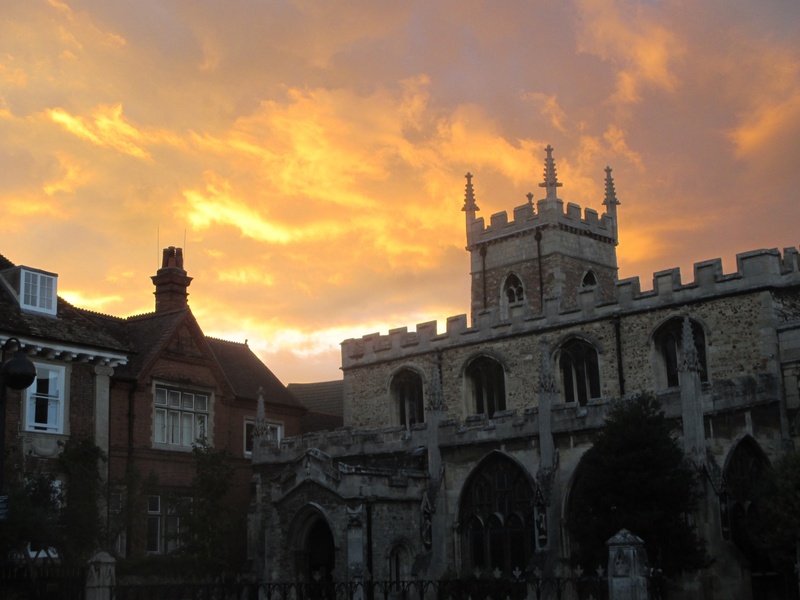 Huntingdon is the principal town in the old shire or county of Huntingdonshire, which was abolished in 1974 and merged with Cambridgeshire as part of a government reorganization. Huntingtonshire lives on, however, as a district council within Cambridgeshire. 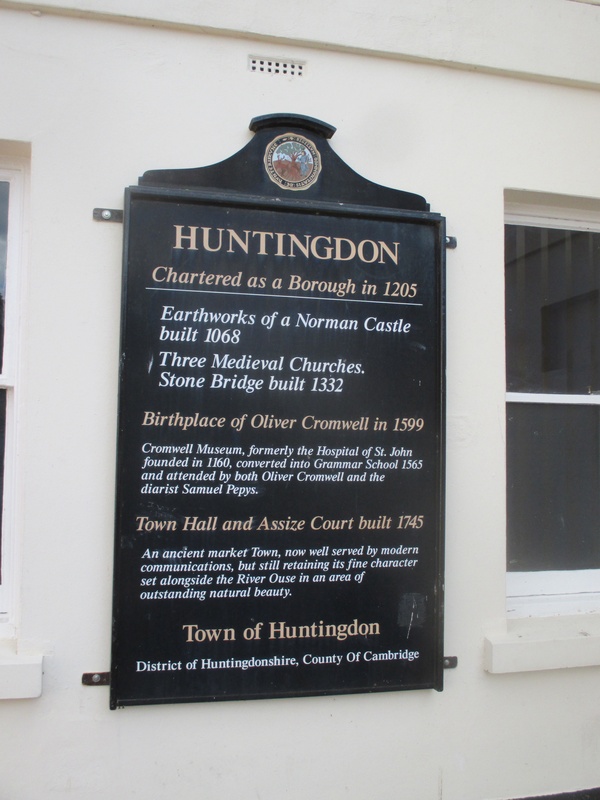 Huntingdon, the town, has its own governing body. In this respect, Huntingdon would be equivalent with a village under New York law, Huntingdonshire District would be equivalent to a Town, and Cambridgeshire would be equivalent to a county. 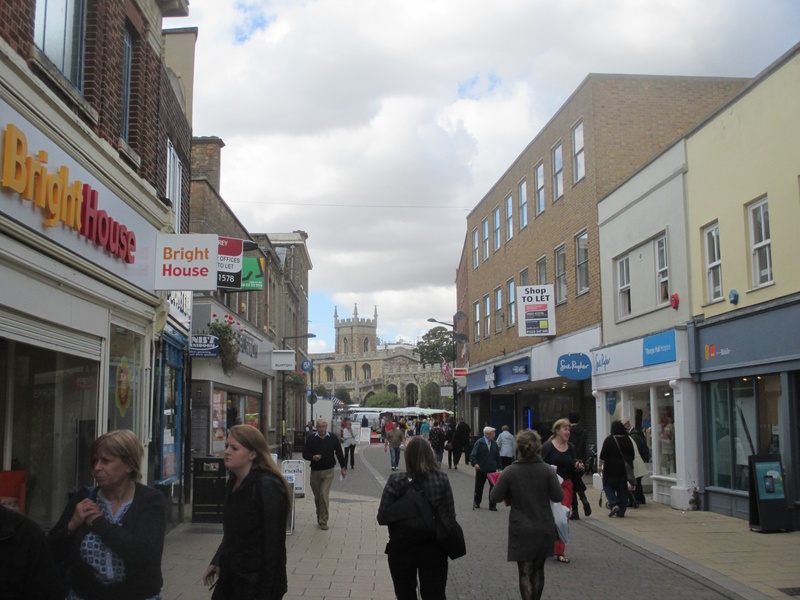 In fact, Huntingdonshire district has a population of about 170,000, similar to the Town of Huntington’s population of 203,000 (Huntingdonshire, however, is much larger at 350 square miles to Huntington’s 94 square miles). 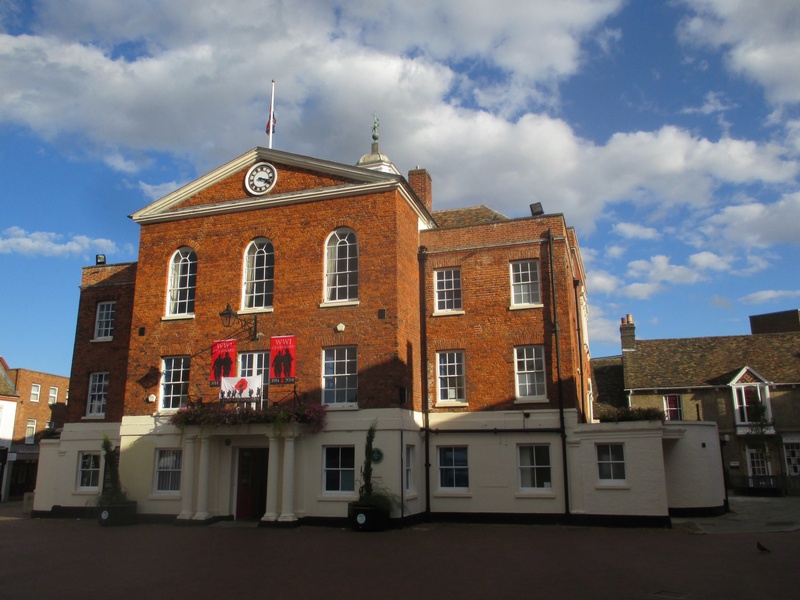 Huntingdon received a charter from King John in 1205, although the settlement in the area extends back to Roman rule in England if not before. The town is situated on the Roman road from London to York so it became an important market town. It was a center of Viking activity in the area until King Edward the Elder drove the Vikings out in 921. The town declined during the Middle Ages and was almost wiped out by the Black Death in 1348. Where once there had been 16 churches, by the 1530s there were only four. 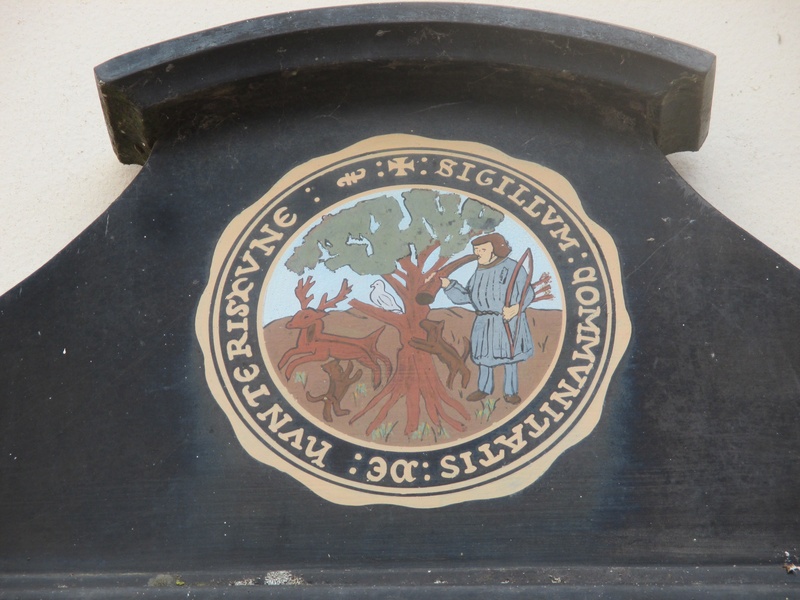 The seventeenth century Huntingdon Borough Seal. Showing a hunter and his dogs with a deer. A small Benedictine nunnery, known as Hinchingbrooke Priory, stood northwest of the town. By 1534, there were only the prioress and three nuns in residence with annual revenues of just £17. The hospital of St. John the Baptist was established in the center of town in 1160. Both of these institutions were dissolved as part of Henry VIII’s seizure of Catholic Church properties in the 1530s and 40s. The old hospital was converted to use as a school. The Benedictine priory and other more valuable church properties were given to Richard Williams, the nephew of Henry’s chief minister Thomas Cromwell (who is the subject of two bestselling books by Hilary Mantel, Wolf Hall and Bring Up the Bodies). In gratitude, Williams changed his family name to Cromwell. The Cromwell family Coat of Arms. the lion rampant at the top was used in the Town of Huntington’s Coat of Arms prepared for the U.S. Bicentennial. 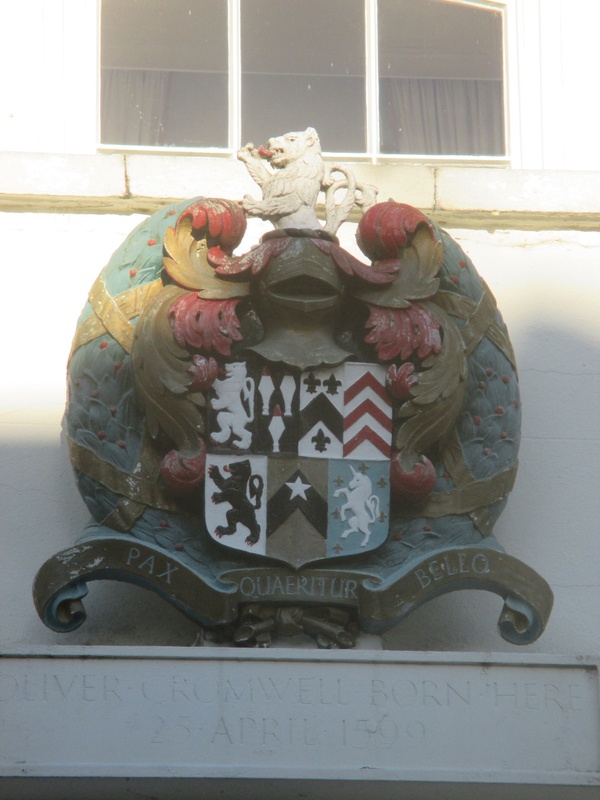 The town’s coat of arms is no longer used in light of its association with Oliver Cromwell, who has been accused of genocide in connection with his actions in Ireland. It should be noted that the lion rampant is a common symbol in medieval heraldry. Which brings us to the reason we care about Huntingdon at all. Oliver Cromwell, a nephew of Richard Cromwell’s grandson, was born in a house at the north end of town in 1599. When he was 11 years old, he attended the school which had been established in the old Hospital of St. John the Baptist. As an adult he lived in nearby St. Ives and Ely. Cromwell was elected to Parliament in 1640. He later helped raise troops in Huntingdonshire for the Parliamentarians’ New Model Army during the English Civil Wars of the mid-seventeenth century and he defended the area from royalist forces. Cromwell’s successes were mostly military; he was only a minor figure in Parliament until the Rump Parliament 1650-53. He dissolved that Parliament on April 20, 1653 and in December of that year was made Lord Protector, a title he held until his death from natural causes in 1658. The early settlers of Huntington, Long Island, would have supported Cromwell in the Civil Wars. In naming their new town they could have been honoring his achievements. As an independent settlement with little direct contact with England, it is less likely they needed to curry favor with the new leader. Of course, while Cromwell may have been popular with Huntington’s Puritan settlers, his actions in Ireland have rendered him a controversial figure to say the least. 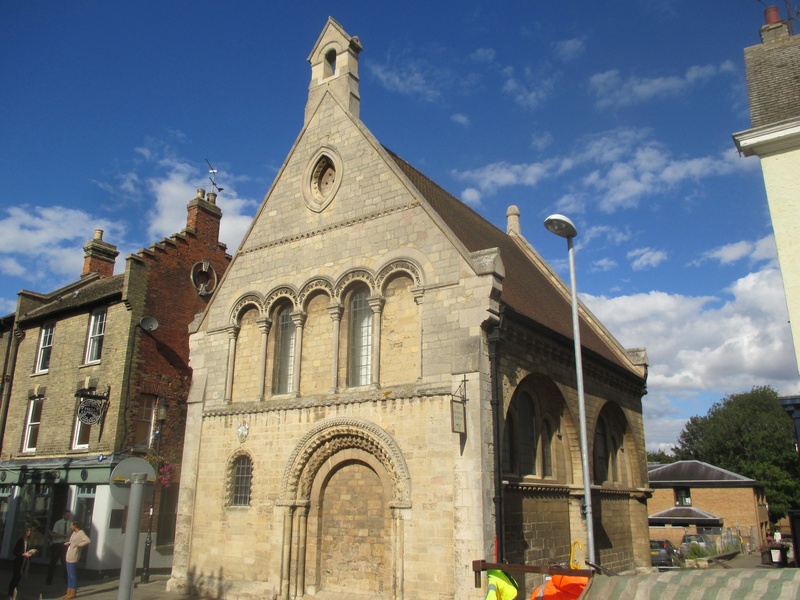 Cromwell was not the only well-known figure from Huntingdon. His uncle, also named Oliver, spent lavishly and in 1627 had to sell Hinchingbrooke. He sold the family estate to Sidney Montagu, whose son Edward became the first Earl of Sandwich. The family dominated the political, social and economic life of the county well into the nineteenth century. It was the fourth Earl of Sandwich who is credited with placing meat between two pieces of bread so that he could eat without interrupting his gambling; or perhaps it was while he was busy working. 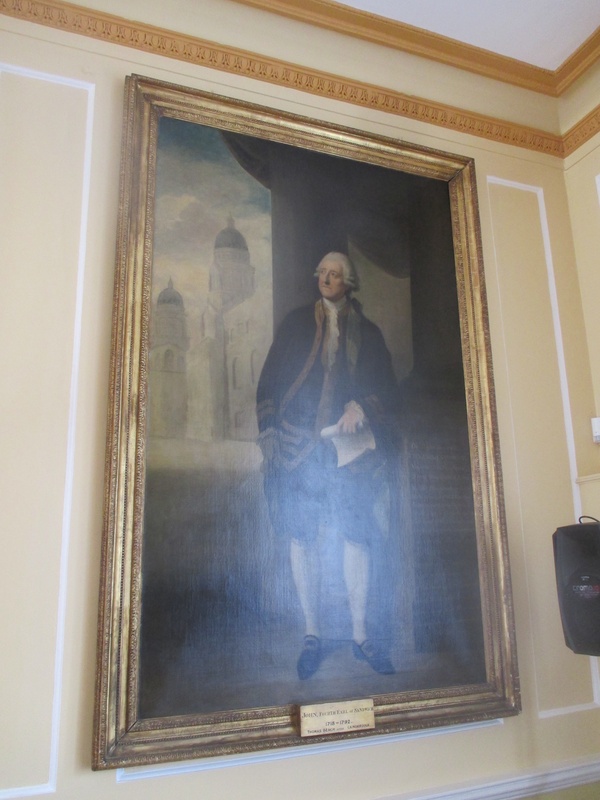 He was also the First Lord of the Admiralty during the War of American Independence and approved Captain James Cook’s round the world voyage. Cook named the Sandwich Islands (now known as Hawaii) in his honor. Another notable Huntingdonian was John Major, who served as Prime Minister of the United Kingdom from 1990 to 1997. His Parliamentary constituency was Huntingdon. Today, Huntingdon is a quiet community that preserves much of its historic charm. 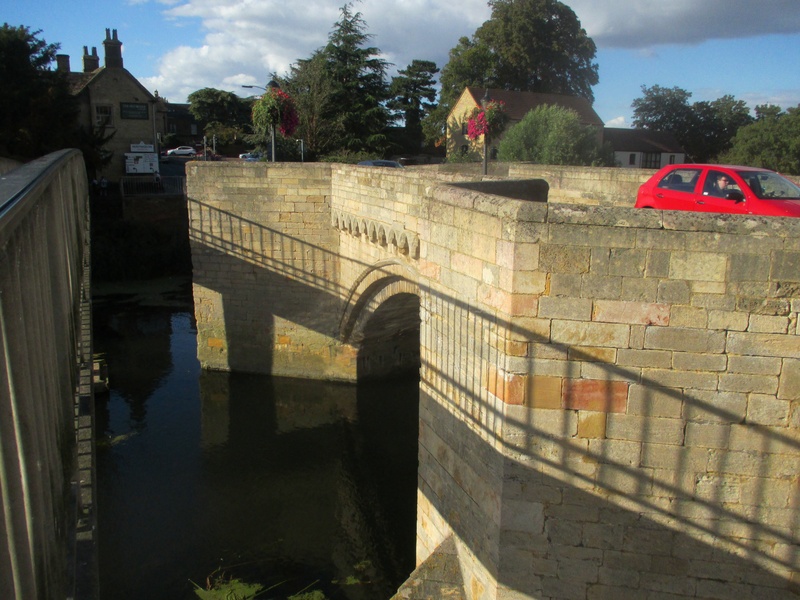 The stone bridge between Huntingdon and Godmanchester. Built in 1332, now open to cars! 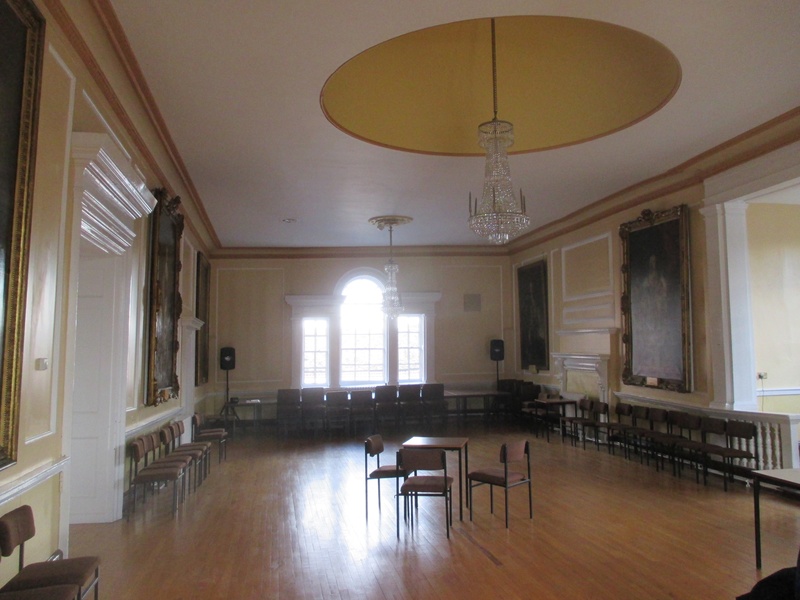 The sole remaining part of the Hospital of St. John the Baptist, later the school Oliver Cromwell attended in 1610. Now the home of the Cromwell Museum.